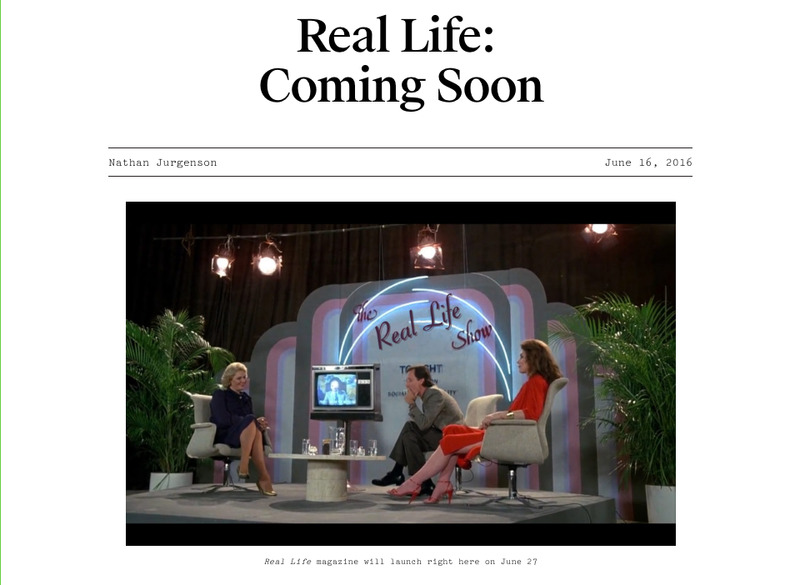 Real LifeSnapchat’s new online magazine Real Life. 1. We picked 29 of the best advertising and marketing executives to follow on Instagram. We ranked our list based on the frequency of posts and how insightful or beautiful we find their pictures. 2. Snapchat is reportedly behind the launch of a new online magazine called “Real Life”. From June 27 Real Life will publish a story each weekday about living with technology, according to editor-in-Chief Nathan Jurgenson. 3. A woman wrote a viral letter to H&M on Facebook after she failed to fit into size 16 jeans. Ruth Clemens said that she is not plus size, so she found it frustrating that she could not fit into any jeans in the store. 4. We interviewed AOL Platforms’ new president Tim Mahlman, who explained how AOL plans to take on Facebook and Google’s walled gardens. He also discussed the Millennial Media acquisition and how the ad tech market is set to go through even more consolidation this year. 5. Shutting down ISIS propaganda and advertising online could help prevent real-world terrorism. The University of Miami’s Complexity Initiative analysed online data to decode the online “ecology” of ISIS. 7. Googlers have designated this Thursday and Friday “Lady Day” after a shareholder addressed chief financial officer Ruther Porat as “the lady CFO”. More than 800 Googlers — including women and men — changed their job titles in the company-wide directory or in their email signatures to be prefixed with “Lady”. 8. We tried out the online dollar store “Hollar”. We decided to see how easy it was to buy discount nail polish from the relatively young store that says it is already taking $1 million in monthly sales. 9. Diet soda is falling in popularity much faster than the rest of the bubbly beverage market. Since 2005, American consumption of diet soda has fallen by more than 27% — that’s a total loss of 834 million cases. 10. Microsoft has acquired Wand Labs in an effort to “tear down app walls”. The messaging start up will help Microsoft’s Cortana compete with Apple’s Siri, according to Campaign.